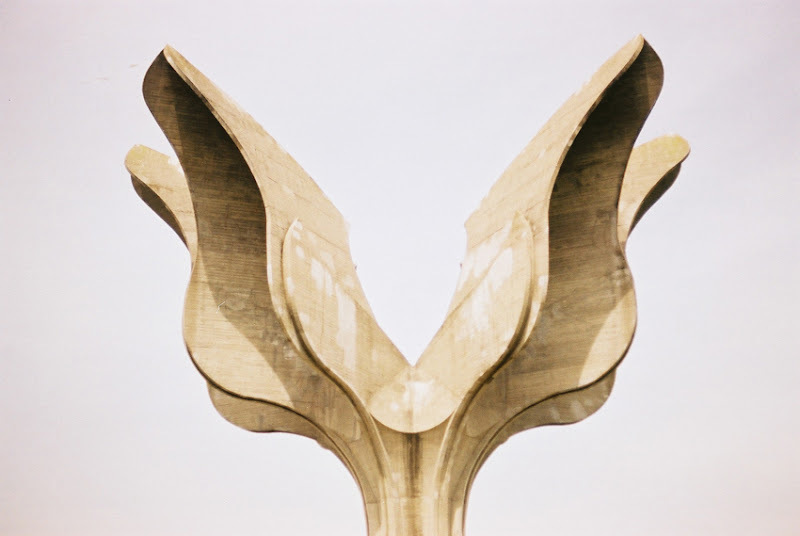 The Flower Monument in Jasenovac - from Belgian photographer Jan Kempenaers book "Spomenik: The End of History "
Designed by Bogdan Bogdanović, the Flower Memorial is a monument built in 1966 on the site of the former Jasenovac Camp III (Brickworks). 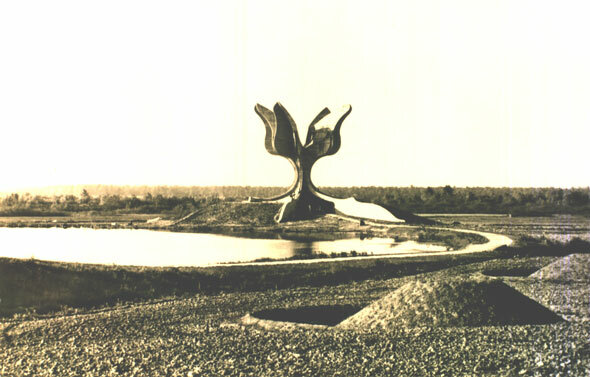 The memorial is made of reinforced concrete and consists of a base with six niches separated by concrete walls, along the bases of which are basins for water, and a central column which extends into the developed mantle of the Flower. 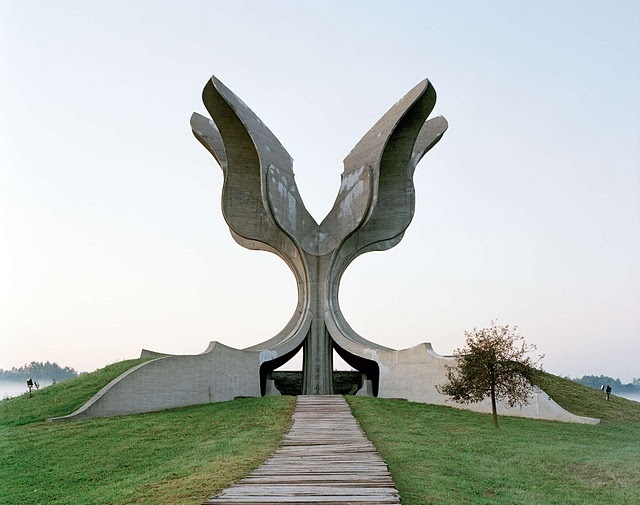 The crypt of the monument is paved with railway sleepers and on the north side there is a bronze plaque on which verses from the poem Jama (The Pit) by Ivan Goran Kovačić are etched in relief.